Are you in need of a gaming laptop? Does your budget max outs at $700? Well don’t worry as we’ve got you covered, and will help you in choosing the best gaming laptop under 700 Dollars.As a matter of fact you can get an excellently spec’d gaming laptop at this price range.However for your budget you aren’t spoiled for choices, and we don’t want to you buy something that is totally opposite to your needs. Hence we’ve compiled a list of Top 5 Best Gaming Laptop under $700 that you can buy straightaway and start playing your favorite game titles.Before we walk through the list of best laptops, I just wanna give you a small walk through about what you should expect from a gaming laptop under 700 Dollars; because I don’t want you to expect specifications out of our price range. Handpicked list of gaming accessories to couple with your gaming laptop under $700! Anyways let’s get to part we’ve all been waiting for and that is the list of 5 Handpicked Gaming Laptop under 700 Dollars. MSI CX61 is the only laptop in our list of Gaming Laptop under $700 to feature 750GB Hard Disk while everyone else has at least 1TB HDD.Design wise it has matte finish look along with a full-size keyboard. Touchpad on this is however small with a singular glossy plastic buttons which does looks a little old school if you ask me. MSI CX61 is on the bulkier side with a weight of 5.3 pounds. Along the lines of Power button, there’s plenty of hot keys for functions like WiFi, Screen On/Off, Eject Drive and Battery Option. On either side of hot key strips you’ll also find Left and Right speaker grills which produce one of the best loud and clear sound we’ve heard till now in laptop. At right we have Gigabit LAN port, VGA port, USB 2.0 and DVD Drive whereas the left side features Power Port, Heat sink, HDMI, 2x USB 3.0, Mic-in and Audio-out port. In terms of specifications, MSI CX61 ticks all the right spots however the company could have done a little better in the design department as the laptop looks seem very lousy. If you want to get your hands on one of the best looking Windows Laptop, then HP P030NR is one of it. With its unique Black and Red color scheme this laptop looks amazingly incredible. The lid of HP P030NR has matte black finish with HP logo dipped in Red, whereas the bottom is red in color and sports a massive laser-etched Beats logo coupled along with a subwoofer. Opening the laptop we’re greeted with glossy screen and full-size backlit chiclet keyboard with red colored lettering. Its tracking pad is spacious with no physical button and also features a big Beats logo. The laptop is pretty bulky weighing at 5.99 pounds however the design is super sleek and was surprised to see its weighing figures.This laptop is targeted specifically at music creators however one can do pretty good gaming on this with specs like AMD A8-5545M APU coupled with AMD Radeon 8510G graphics will make sure your HD titles run smooth. At software front it comes with Windows 8.1 with Free Upgrade to Windows 10. If you’re in search for a laptop that performs when required and also acts as a style statement, why look any further than this? I personally love the design philosophy on Asus Laptops which neither have bright colors nor dark. There’s a right balance with different shades of grey and it carries the same philosophy with X550ZA making it one of the clean and pleasing looking gaming laptop under 700 Dollars. Its lid has an amazingly looking radial shiny plastic finish giving it an aesthetically pleasing look even when it’s not in use.The back features stereo speakers while the battery is non removable. Opening the lid one can clearly see the textured finish on palm rest and throughout the keyboard area. Keyboard is full-sized with chiclet design along with a large single unit touch pad. However the tactile feedback on the keyboard isn’t something to talk about.Asus X550ZA features a LED backlit glossy screen with a resolution of 1366*768 pixels. Even with a plastic design this gaming laptop under $700 looks extremely pleasing and will be a joy to either work on or play with. With a Full-HD screen it is one of those budget gaming laptop which will make your gaming experience extremely pleasing with support for higher resolution display. With an Intel Core i5 5200U Processor coupled with Nvidia Geforce 940M graphics, the company offers an excellent package to play along with Windows 10 preinstalled which makes it a Plug-and-Play laptop. Hence you don’t have to worry about getting a Windows 8.1 OS laptop and wait to use before upgrading to Windows 10. Design wise, the laptop is built entirely out of plastic which gives a good feel. Its lid has textured plastic finish that certainly compliments its looks very well. Even with a 4-cell battery, it provides enough juice to run this laptop for a sufficient time. With Acer Aspire E5-573G you will have to compromise a little on built quality however considering its specs for a gaming laptop under $700, I couldn’t resist it keeping on Number 2. At number 1 position we have another one from Asus whose design cues are similar to Asus laptops. Launched last year, this laptop still stands strong on its feet compared with other gaming laptop under 700 Dollars launched this year. Just like the previously mentioned Acer Aspire E5-573G; this one too has a Full-HD LED-backlit 15.6 inches glossy screen. To our surprise for price of just $700; it features 5th Generation Intel Core i7-5500U coupled with an older generation Nvidia GT840M graphics. One of the standout features of this laptop is it’s incredible battery life of 7 hours via a 6-cell battery, that in-turn also increases laptop’s weight to 5.6 pounds. It has a full-sized chiclet keyboard and a big unified touchpad which provides tactile feedback. For the price, Acer Aspire V3-572G is the holy grail of all gaming laptop under $700 that includes a powerful Intel i7 processor and an older but still relevant 2GB Nvidia Geforce 840M graphic card. Processor: At this price point, you’ll find very few laptops that come with Intel i7 5th Gen CPU. For the least you should expect either a laptop with Intel i5 5th Generation CPU… if you’re an AMD fan then don’t go any lower than AMD A8 or A10 APU. RAM and Hard Disk: Since our base requirement is a gaming, we need a lot of room to play with and hence in the RAM department 8GB should be bare minimum along with 1TB of hard disk at least, because we don’t want you to run of space very quickly. 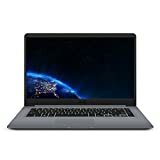 Screen Resolution: When searching for a gaming laptop under $700 there’s variety of options that come either with a resolution of 1366*768 or 1920*1080. For $700 I do recommend at least 1366*768, however do put your hands on a Full HD if everything falls into right place. Graphic Card: Graphic is the heart of any gaming laptop and hence at this price you’ll get Radeon R6 if you with AMD and Nvidia 820M or 920M and higher. When you buy any laptop specifically for gaming, a gaming mice is the ultimate requirement and what better choice than the ever famous Logitech G502 Proteus Core. Razer’s Blackwidow is a highly regarded Mechanical Gaming Keyboard that has been getting rave reviews since its launch. For quick paced action, things don’t get better than this. Well if you’re just a casual gamer, do not require functionality of a mechanical keyboard and don’t want to destroy your laptop’s keyboard you can go with this budget Gaming Keyboard Mouse Combo. I don’t want to speak a lot, but just don’t any further than this if you want a big 10×12 inches gaming mouse pad. I have just fallen in love with this gaming headset due to its clean and minimal design. Hence if you want a comforting and lightweight gaming headset, Steelseries Siberia RAW it is. As you can see, the list comprises of a series of big names which manufacture some of the best gaming laptops under $700. Before you go on and make a final purchase decision, there are some things that you need to consider. One, that a brand name is not a substitute for quality. Only because a gaming laptop is manufactured by a greatly popular name does not mean that the product itself will be good. You must make your choice based on what you need, not what others think you need. Do not be swayed by advertisements. The second point is simpler. The price of any device or gadget does not define its capability or quality either. The price of some of the very best laptops may not be as high as the price tags of some of the lesser ones. The pricing of a gadget is the prerogative of a manufacturer. Do not be persuaded by the argument that only an expensive device can be the best one. Go through our list to find the product that is the best suited for you. Any suggestions or comments are also welcome.